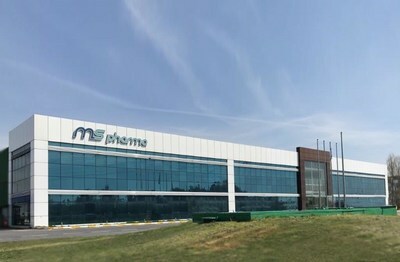 AMMAN, Jordan, April 16, 2019 /PRNewswire/ -- MS Pharma, a fast growing pharmaceutical company based in Jordan and operating across the Middle East, Turkey and Africa, announced today that it has entered into an agreement to acquire 100% of the outstanding shares in Genepharm, a leading European pharmaceutical company. Genepharm's senior management will remain with the business and help guide the company through the next phase of its growth. The transaction is expected to close by the end of April. Based in Greece, Genepharm develops, manufactures and out-licenses high-value generic pharmaceutical products. The Company retains a strong portfolio of products and an extensive network of over 223 customers across 70 countries worldwide. Genepharm combines strong R&D capabilities with manufacturing capacity in conventional solids, sterile liquid (oncology) and oncology oral solids. This acquisition will expand MS Pharma's geographic footprint, allowing the company to reach more patients and customers in Europe and the rest of the world. It will also complement MS Pharma's existing chronic disease portfolio with the addition of several important products in cardiovascular, CNS and oncology. The acquisition will allow Genepharm to access MS Pharma's manufacturing facilities and products portfolio and be part of a group employing over 2000 employees. Genepharm's portfolio will be strengthened with sterile injectable products and biotechnology candidates and plans are in place to significantly increase the development resources in Athens. Mr Ghiath Sukhtian, Chairman of MS Pharma said: "This acquisition is highly complementary and synergistic to our business, and marks an important milestone in our growth plans. Genepharm's management team has built a successful business, and we look forward to supporting them in growing the Genepharm business. We believe this acquisition will enable Genepharm to offer a wider range of products and technologies to its customers in Europe and around the world." Genepharm said: "We are excited to be entering into a new phase of growth with MS Pharma. This acquisition will help accelerate Genepharm's growth plans and will enable the company to offer a wider range of products to its partners and customers". MS Pharma is a leading pharmaceutical and healthcare solutions provider and partner of choice in the Middle East, North Africa and Turkey. The company has over 2000 employees, a presence in 12 countries and exports to over 20 countries across the Middle East, Africa and Europe. The company has the capability to manufacture branded generics in oral, topical and injectable form. The company is headquartered in Jordan and has manufacturing facilities in Algeria, Jordan, Saudi Arabia and Turkey.